Entrepreneurs, makers, artists and food and beverage artisans converge at the inaugural My People’s Market, a celebration of Portland’s diverse and vibrant communities that makes its return to the Rose Quarter Commons this Saturday, June 30 featuring over 100 multicultural small business owners and entrepreneurs of color. Diversity will shine at Saturday’s encore. My People’s Market returns on Saturday, June 30 with an exciting mix of 100 diverse entrepreneurs, makers, and artists along with some of Portland’s best food and beverage artisans. Following its inaugural run last fall, the multicultural marketplace returns to the Rose Quarter Commons on Saturday, June 30 with activities for the whole family from noon to 8 p.m., featuring live music, art, performances and plenty to eat and drink. There will also be an on-site exhibit, “Honoring the Past, Celebrating the Present, Reimagining the Future,” curated with support from Oregon Black Pioneers. 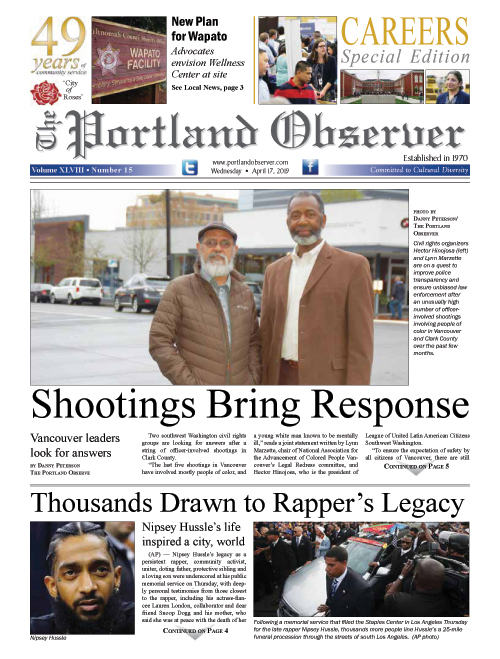 The show will examine the racial history of the area and the enduring role African American-owned businesses have played in Portland’s economy. Saturday’s event will also be the first of two My People’s Market events this year, following a successful start back in November that drew rave reviews from participants. Sponsors include Prosper Portland and Travel Portland, with additional support from YGB Portland, Energy Trust of Oregon, Port of Portland, NW Natural, Kaiser, and TriMet. A full list of participating vendors is posted at mercatuspdx.com/mypeoplesmarket/.